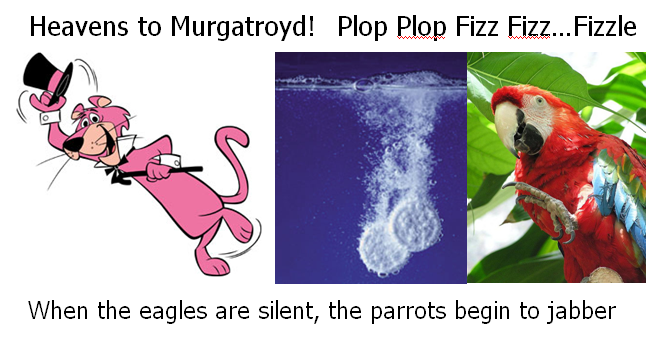 Ian Woodward's Investing Blog » Plop Plop, Fizz Fizz…Fizzle! « Wall Street and Main Street are in Shock! 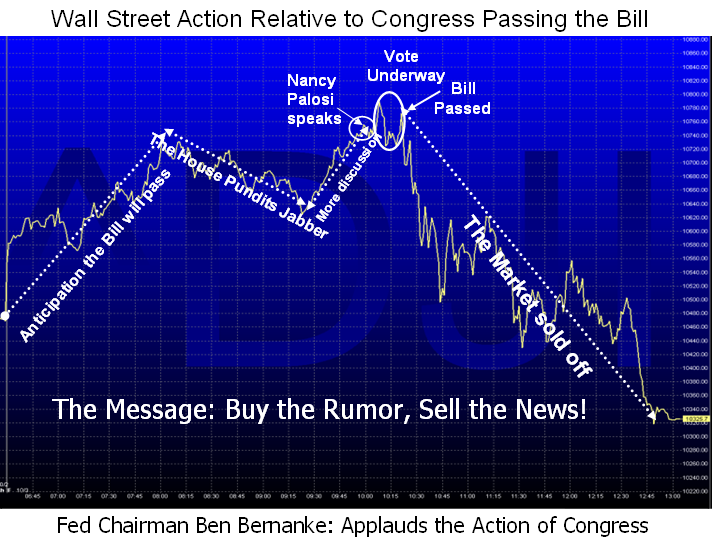 The much anticipated passing of the “Bailout Bill” came and went with what one would expect…buy the rumor and sell the news. If you are a History Buff, on the eight other occasions that the DOW dropped >7% in one day the overwhelming odds from seven of the eight readings is that the Market will be lower one week later. That means that we should be below the 10365.45 of Last Monday the 29th of September come Monday’s close. In a Bear Market, the rule at this stage of the game is to sell any rallies of 4 to 6%. It is going to take a long while before confidence is restored and it goes without saying that the trend continues down. Rumor has it that Helicopter Ben is considering a 50 basis point reduction in the rates, but the bigger questions now relate to whether the European Banks will join in a global joint reduction and if they are faced with similar bail out circumstances. The proverbial Operatic Fat Lady is singing…now is not the time to be dredging leave alone bottom fishing. Note how the “R” word is now freely bandied about, and who knows when they will turn to using the “D” for Depression word. The Hindenburg Omen signals way back last November gave you plenty of warning. There is little more to say than stay in your foxhole unless you are a Moment Trader…even Day Traders get taken to the cleaners in this highly volatile market. This entry was posted on Friday, October 3rd, 2008 at 3:24 pm	and is filed under HGS Principles, Market Analysis. You can follow any responses to this entry through the RSS 2.0 feed. Both comments and pings are currently closed.